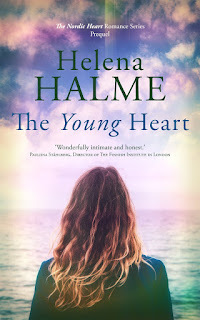 Helena Halme Author: Want to receive free Awesome Indies e-books? Want to receive free Awesome Indies e-books? Awesome Indies Books invites you to join our Read to Review program. If you sign up, once a month we will email you details of the Awesome Indies approved books that are up for review. You then have two weeks to let us know if you’d like to read any of them. The author will then send you the book in whatever file suits your ereader. Post a review on the Awesome Indies Book site, Amazon, and on one other review site (eg your blog, B&N, Kobo, or Goodreads) within two months of receiving of the book. The review should be a minimum of 100 words and include the following at the end: I received this book free from Awesome Indies Books in return for an honest review. When completed, email the administrator the links to your review on the three sites. If for some reason you didn’t finish the book or don’t feel you can review it for any other reason, then please let us know why. If after two months you don’t leave a review and we don’t hear from you, we will remove you from the reviewers list. All the books you’ll be offered have already passed Awesome Indies approval—that means they’re good. Though you may not like a book, we can guarantee they’ll be well-written and edited. 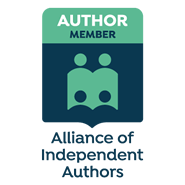 Two of my books, The Englishman and Coffee and Vodka, have been awarded Awesome Indies Approval badge. Sign up here to start reading FREE Awesome Indies books now!